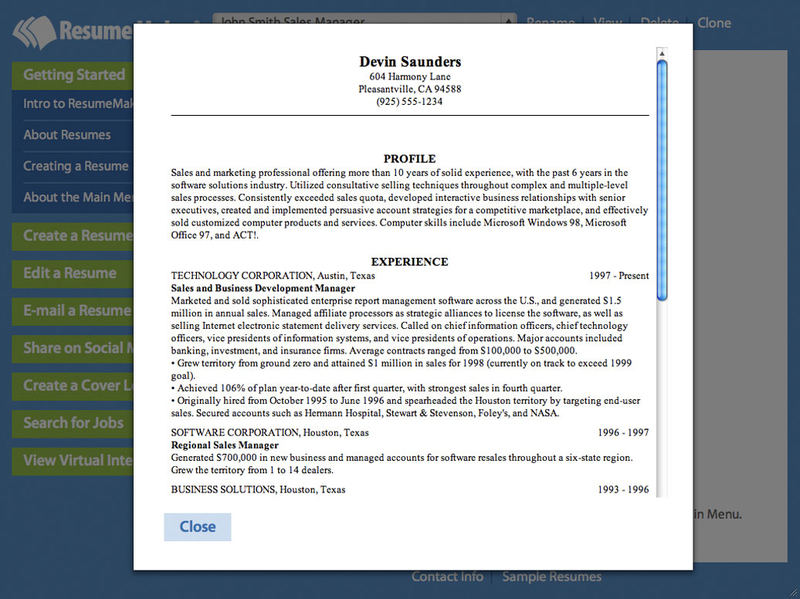 Resume Maker makes writing a professional resume easy. 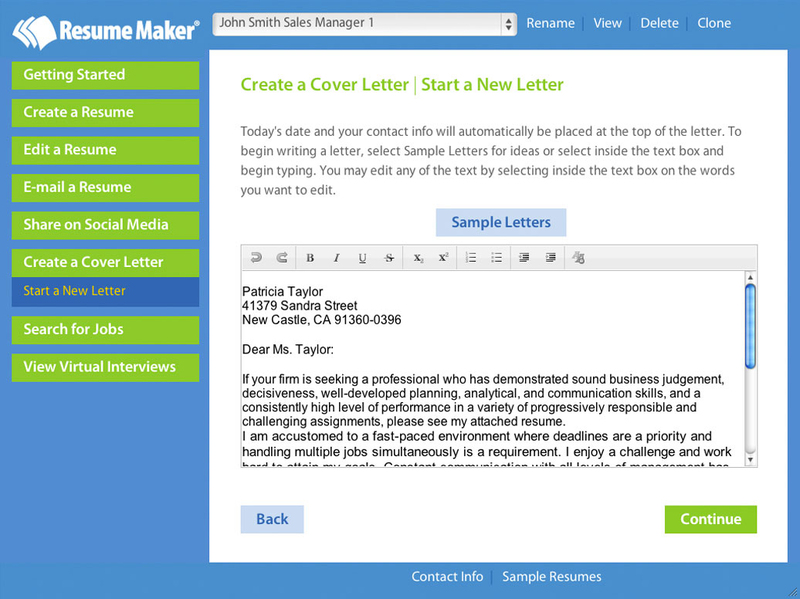 We provide all the tools you need to write a high quality resume that will get the attention of hiring managers. 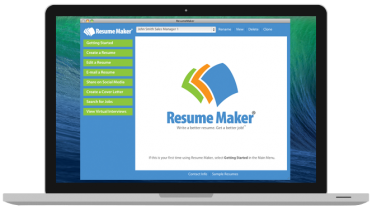 Our resume and career experts track the latest trends in job and talent search practices. 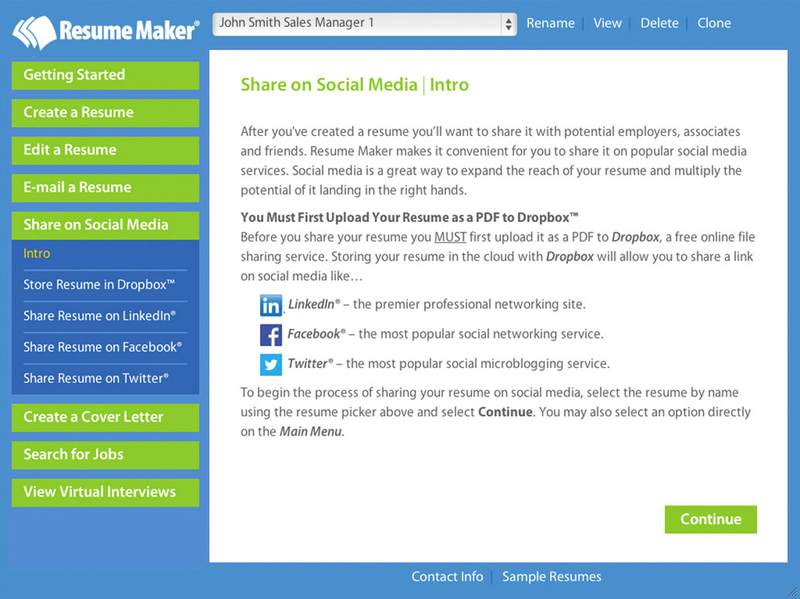 We can help you write a resume you can use to apply for jobs and share on social media. 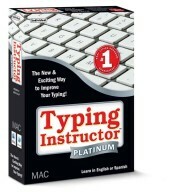 No more writer’s block or wondering what you should say and how you should say it. 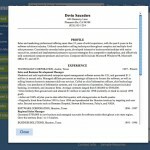 View sample resumes and sample resume phrases written by professional resume writers to help and inspire you to write the perfect resume that showcases your unique career experience. 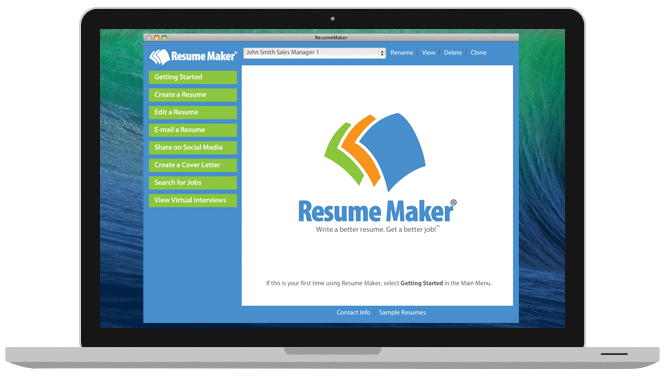 Resume Maker has powerful tools to help you land your dream job. Create resumes and cover letters, share your resume via e-mail and social media, and search for jobs and prepare for interviews. 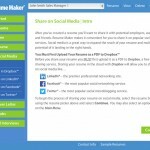 You’ll have all the tools you need for a complete job search. Watch virtual interviews to get ready to respond to the leading interview questions asked by hiring managers. 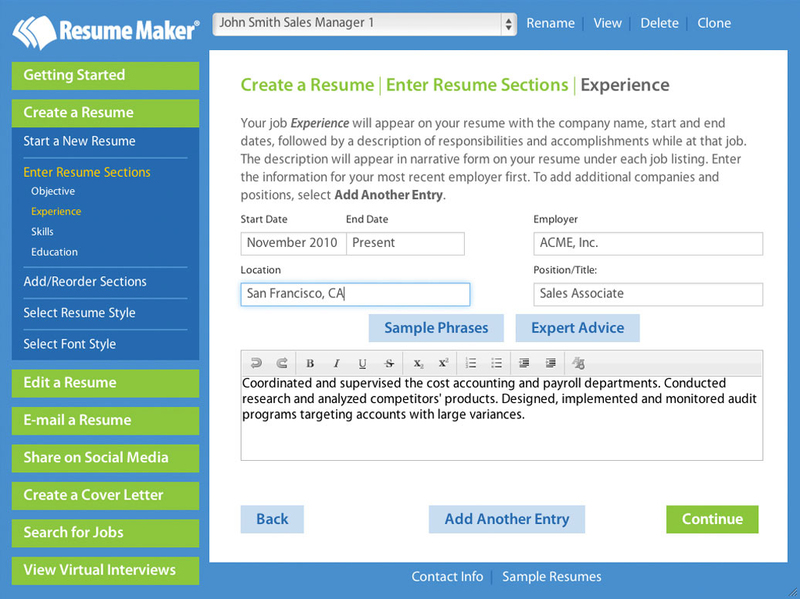 Select from an additional 500 interview questions and answers. Learn the rationale behind the questions hiring managers ask and what they expect from the best job candidates. 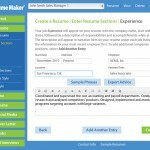 Resume Maker makes it easy to search jobs fast. Be the first to find new jobs and never miss a new opportunity. 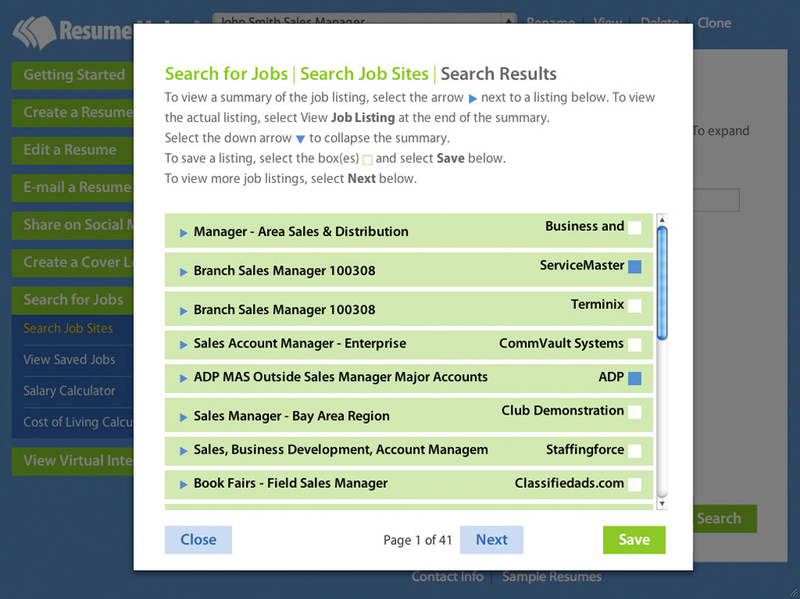 Search millions of jobs through multiple job sites with a single click to locate hundreds of job openings in your search area. 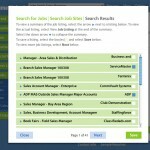 Filter criteria for keywords, job title, type of company, and more. 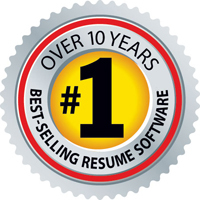 Resume Maker® is the #1 Best-Selling Brand of Resume Software for Over 10 Years & Winner of Multiple Awards!